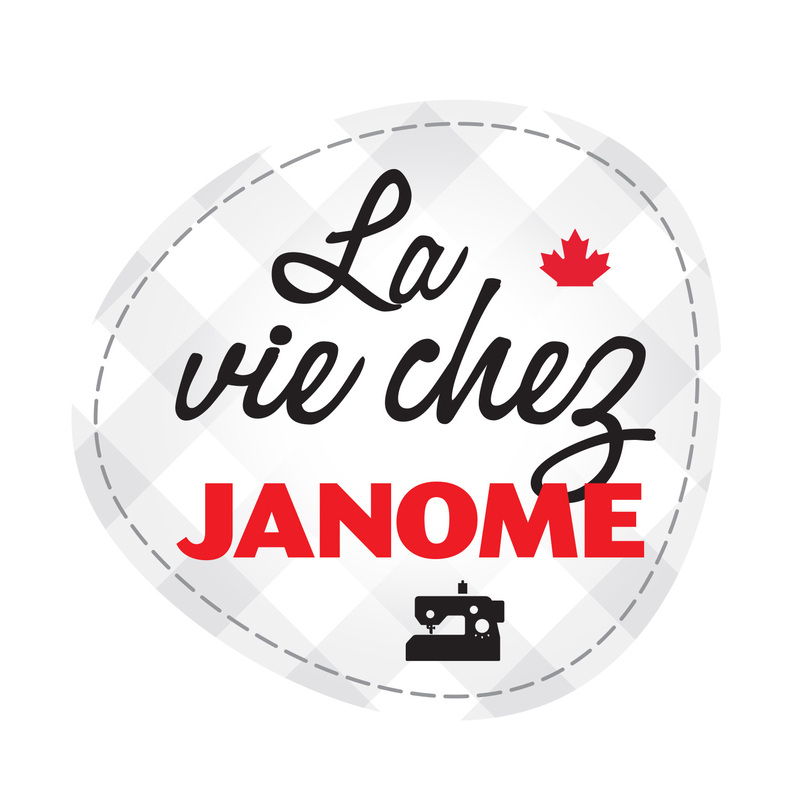 We announce another new blog series on janomelife: JANOME MACHINE MODEL OF THE MONTH. Each month we will focus on a different Janome machine model in this monthly blog slot offering information, possibly hints and tips for this machine as well as possibly offering project ideas for some models. 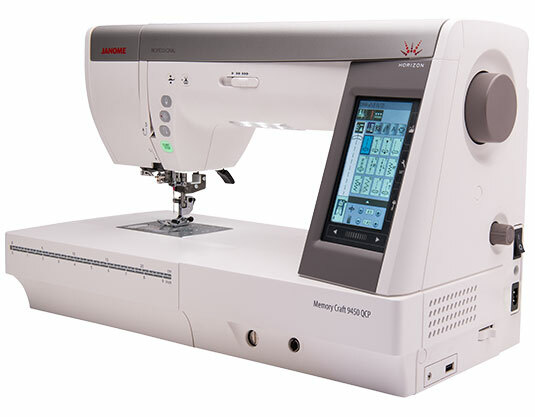 If you would like us to spotlight a current Janome model, do drop us a note in the comment box. We will try our best to accommodate you though please note that as we are a Canadian based blog, we may not be able to offer a spotlight on models not currently available in Canada. It has the Acufeed Flex HP2 foot – scroll down on this link for a video of this incredible foot in action. The Tapering function has been added. Auto power off has been added: a first for Janome: set your Janome MC9450 to switch off automatically at a selection of pre-set times…….just like your iron in case you forget to switch off?! New Thread guide #7 for improved threading. 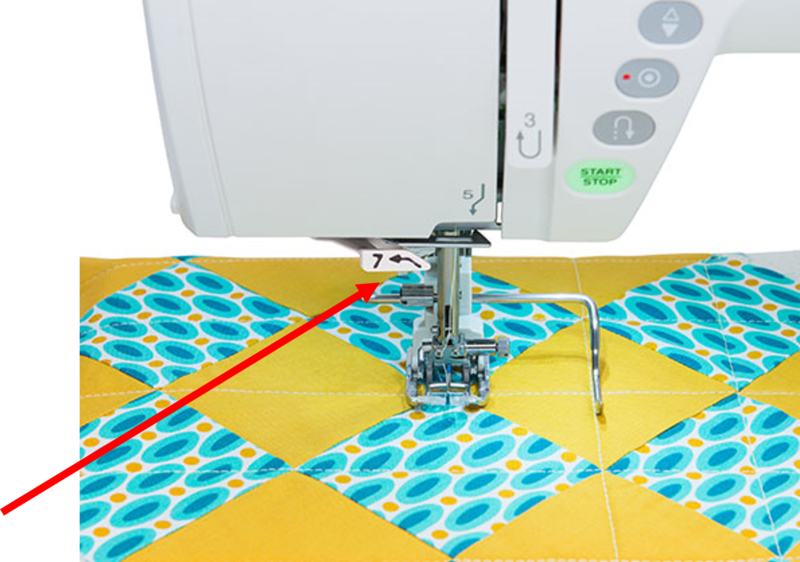 Janome Mc9450 includes the QR Ruler work foot and more. Watch this video with Kimberly Einmo on the accessories which come with the new Janome Horizon MC9450. 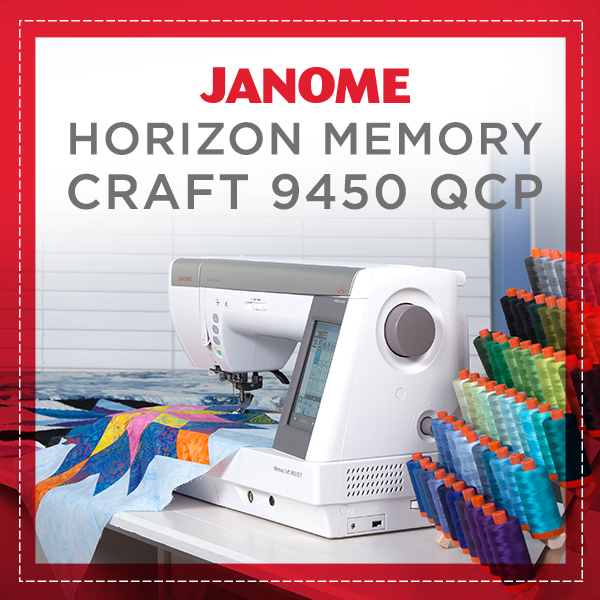 We encourage you to search for Janome MC9400 and MC9450 in the search box on the right and side of the janomelife page…….you will find many other posts featuring these models – especially our monthly contributions from our Janome Canada Artisan Kim Jamieson- Hirst of Chatterbox Quilts who offers us great information on Janomelife as well as video’s on her You Tube site. Have you visited your dealer to see this new model? Have you test driven it? 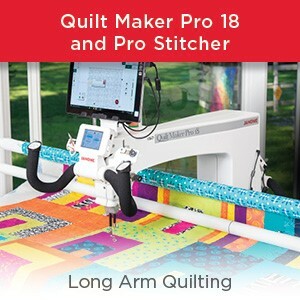 Did you buy this machine and take it home to add to your sewing room? If so, do let us know what you think in the comment box below. This entry was posted in Janome Horizon MC9450 QCP Professional and tagged Janome accessory feet, Janome Canada Artisan Kim from Chatterbox Quilts, Janome Horizon MC9450 QCP, Janome machine features, Kimberly Einmo video on Janome MC9450, New janomelife monthly series on different Janome machine models. Bookmark the permalink. Yes, we do monitor these comments. I am wondering what is the difference between the MC 9400 QCP and the MC9450 QCP. The MC9450 now come standard with all the feet and features that the Upgrade to the MC9400 offered. The lighting is 1,5 times brighter. The tapering function has been added. It in luges the new HP2 Acufeed Flex foot and has dual voltage. No, sorry, features like this are not retroactively upgradable. Would like better explanation of how the tapering works when using an applique stitch and stitching down a applique. How do you know when to taper it for measurements. Find it confusing do video would be great.. Thanks for you input. We will add it to the list. As a new sewer, I am besotted with my Skyline S3. All the models you feature look great but are much more than I need, so I am hoping you might consider featuring the S3 for those of us who are still learning or have limited uses. Also, one question, please: would attaching a ViviLux 3-in-1 Laser System (3 Laser guidelines) be harmful to my S3? I am concerned about the effect of the laser on my S3 computer mechanism. Thank you. We can certainly look at featuring the S3 at some point this year in this new monthly slot. I am sorry but I don’t know what the Vivilux equipment is. I think the best would be to email our Tech support dept and ask them this: tech_support@janome-america.com. Do Keep warm. I just spent 2 weeks in Ontario and I can assure you that it was a shock to my West Coast body! It is a balmy 7 degrees here in Vancouver this morning….raining as it often is this time of the year…..although it is predicted to be a lot colder for the next few days. I have the 9400 and have been considering the upgrade kit which gives you some of the new features on the 9450. However I understand that this eliminates the auto presser foot up function, which I love on my 9400. Is that correct? If so, is this a setting which you have the ability to change the default back to the original after you upgrade? Thank! Love my 9400! You are incorrect. The MC9450 definitely has auto presser foot lift. You simply switch it on & off with the icon at the top of the screen. On both MC9400 and MC9450. I would love a review of the Skyline S7. I am in the market for a new machine to take when I travel. 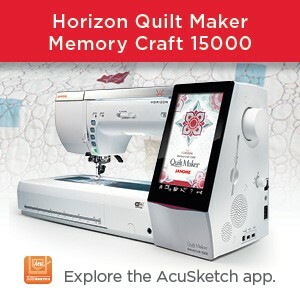 I purchased the Memory Craft 9400 last September, 2018 as a result of a quilting cruise I took & was provided the MC9400 to sew on during the cruise. I immediately fell in love with it & do not regret my purchase for one second. It is a fabulous sewing machine. I’ve done a lot of research relative to a good travel machine & feel the S7 would be a perfect fit for me. There are so many features of my MC9400 that I want on my travel machine and, thus, the reason I feel the S7 would be a great machine. Please consider this as a machine to review if this is a machine offered and sold in Canada. Thank you! We can possibly do something on the S7 although we have offered lots previously on this blog on the S7. Just do a search in the search box for Skyline S7 and all applicable posts will come up. 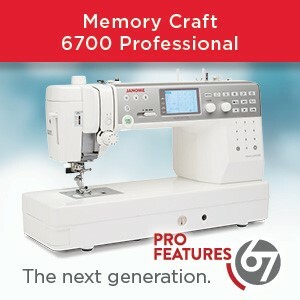 Or website also offers lots of information on all our current models http://www.janome.ca > Products tab > machines. You might also wish to consider the brand new Skyline S6 which is pretty cool. And yes, the entire Skyline range S3, S5, S6, S7 and S9 are all available in Canada. The MC6600P is no longer a current model in Canada but might I suggest you do a search in the search box on our janomelife home page as there are bound to be posts about this model? We have been publishing informative posts since 2010! Alternatively, do a google search or watch you tube video’s. Search specifically for 6600P. I am quite sure there is lots of information available on this model. Santa brought me this machine! I didn’t even ask for it in my letter! It was a jaw dropping surprise! Oh you must have been an extra specially good girl! Congrats and enjoy sewing with it. I thank you for this! I have a 8200QCP and would love to have one of these focused on this machine. Perhaps if you don’t want to post send to me directly. The store I used closed down and this would help me on a daily basis to refer to. Thank you very much I LOVE MY MACHINE & not in the market for new one! We can add the 8200QCP to the list. Thanks for your suggestion. 500e is my new machine. I would love to see you comments and videos and suggestions Etc. I am in the United States.